Back in 1949, the Zion High School Band sold our chocolate bars to raise money for a trip to a band competition in Virginia Beach. And with that first sale, product fundraising was born. The band has sold our chocolate bars throughout the years, and is once again selling dollar bars this fall to raise money for a trip to Orlando in March and to begin a multi-year effort to raise funds to purchase new band uniforms. Their latest band fundraiser kicks off on Monday, October 2...and besides the incentives of matching funds and prizes we're making available, here are some other band fundraising ideas that can help. 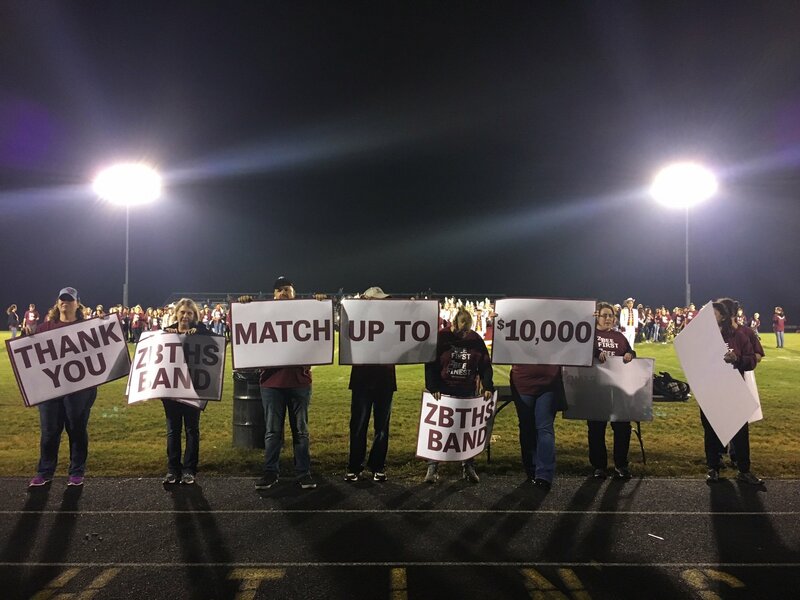 On October 6th, our CEO Eddie Opler visited the ZBTHS Band to personally thank them for being our very first fundraising customer. The late afternoon rain cleared by halftime of the varsity football game, when the ZBTHS band along with members of the three area junior high bands took the field for their shared performance. “Hello everyone. My name is Eddie Opler, and I’m here tonight on behalf of World’s Finest Chocolate to thank the Zion-Benton Township High School Band for being our very first fundraising customer. My grandfather founded World’s Finest® Chocolate in 1939, and ten years later, began our fundraising business with the then Zion High School Band. Back in 1949, under the leadership of Band Director Jim Sanford, the Band sold our chocolate bars to raise money for a trip to a band competition in Virginia Beach. The band’s latest sale kicked off on Monday, to raise money for a trip to Orlando in March and to begin a multi-year effort to raise funds to purchase new band uniforms. Earlier this year, World’s Finest® Chocolate reached a major milestone of raising over $4,000,000,000 and we couldn’t have done that without you, our very first customer! We are incredibly grateful to be here tonight, 68 years later, to say thank you. To express our heartfelt gratitude, we’ve created a special incentive program to help make it the best sale the band has ever had. 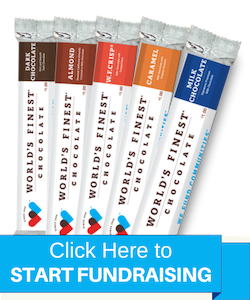 World’s Finest® Chocolate will match the band’s fundraising sale up to $10,000. We will also provide a $1,000 prize to a band member who sells two cases or more. Some of our employees are here selling $2 chocolate-covered almonds, mints and caramels for the band at our tent by the concession stand, where you can enter to win a 5-lb. Almond Bar! 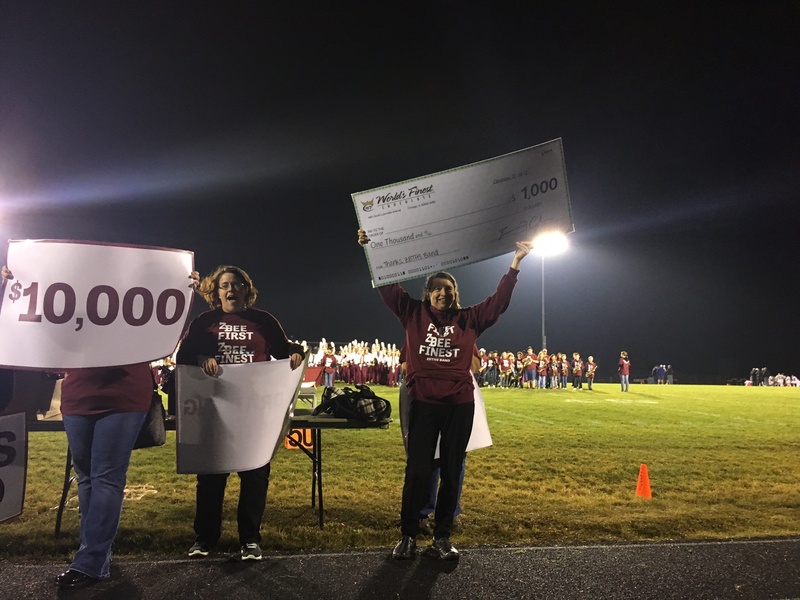 During Eddie’s presentation, Band Booster Club parent volunteers stood on the track with large signs to highlight the features of the special incentive program. In addition to the planned celebration, a surprise visit from some very special guests made the evening even more remarkable. Chick Sanford, son of Jim Sanford – the ZB Band Director who first partnered with WFC to fundraise – brought his 95-year old mother, Betty to the game. While the weather did not cooperate for Chick & Betty to stay the whole time, Eddie met with them both and was able to personally thank them for their dad’s and husband’s impact on WFC. Until last week, Chick and his two brothers were not aware of their Dad’s extra-special connection to World’s Finest® Chocolate, and were very touched by the story. 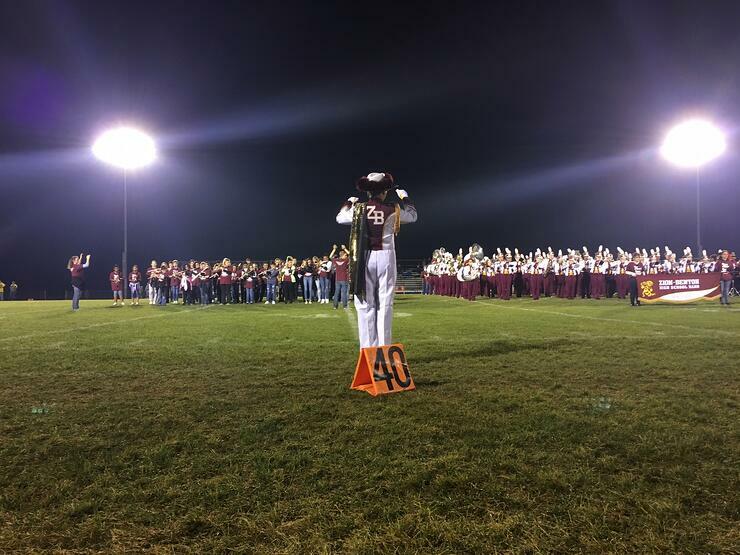 Thanks to the ZBTHS Band for being the First and the Finest! Good luck with your sale! For questions or media inquiries, please contact Raleigh Decker at 773-890-2210 or at rdecker@wfchocolate.com.